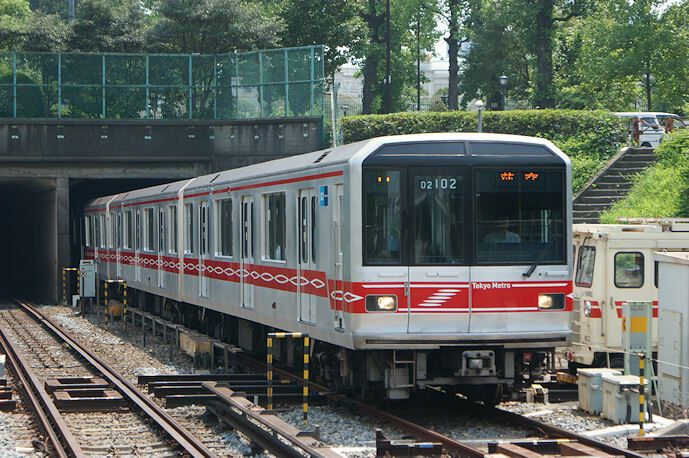 The 02 Series is a three-door commuter train developed by the Teito Rapid Transit Authority (Currently Tokyo Metro) in 1988 to replace its aging fleet of bright red 300 and 500 classes. The basic design is based on the 01 Series that was introduced on the Ginza Line in 1984. It is however, 2 meters longer and has a red stripe instead of yellow. 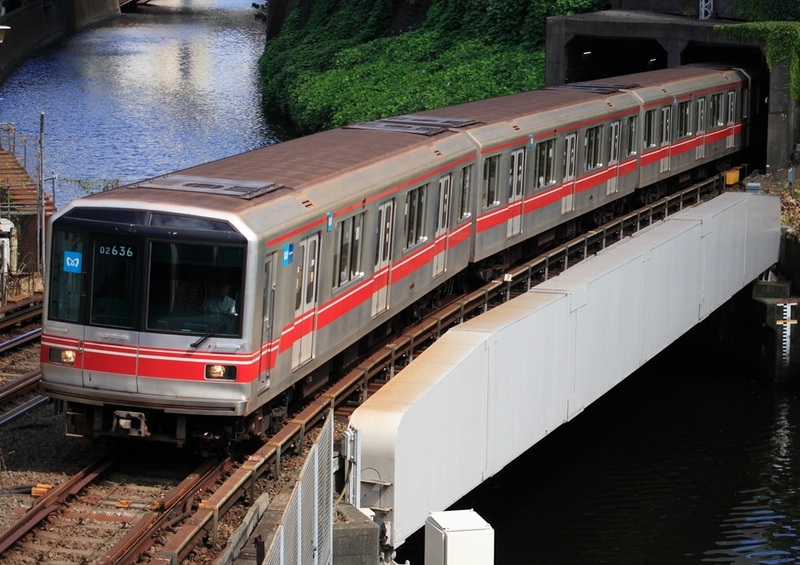 The 02 Series increased the top speed of the Marunouchi Line from 65km/h to 75km/h. In 2009, Tokyo Metro began updating the earlier trains. Some of the updates include a change from chopper control to variable frequency drive.